India will start their UK Tour with two T20 International Games against Ireland. 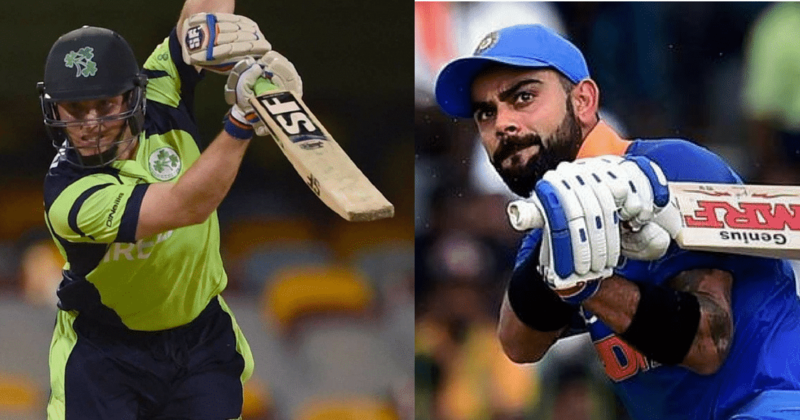 The first T20 International Match will be played on Wednesday 27th June 2018 at the Village in Dublin between India and Ireland. The second T20 International match will be played at the same venue after two days. Before facing England, India will have another go at the Irish Men on Friday 29th June 2018. The Indian Team looks in perfect shape for this match, Virat and his men are the favorites to win this first match on Wednesday and the series on Friday. India has a golden chance to get adjusted to the English conditions before the mighty England tour. It will be important that India shouldn’t take Ireland lightly. For the visitors, the key is to adjust in the English conditions as soon as possible. The batsmen will hold the key for India, they need to get rid of the new ball which swings in the first initial overs. India’s top 4 batsmen needs to play very carefully as Ireland also has some quality swing bowlers in their team. Players like Rohit Sharma, Shikhar Dhawan, and skipper Virat Kohli will have to play well in these conditions. Otherwise, India will have problems against a small team like Ireland. India’s skipper Virat Kohli will have to put his ghosts of 2014 tour behind if India aims to do well in these English conditions than Kohli is the man who will take India forward. For that India will need runs from their skipper. He is the one who can hold the innings together and other batters can bat around him. The inclusion of Suresh Raina in the squad it has made the playing XI look stronger. With Raina at number 4 and MS Dhoni at number 5, this Indian batting line up will certainly challenge the Ireland team. MS Dhoni is another player to watch out for, the former Indian skipper played marvellously well in this season of IPL 2018. He and his millions of fans may be hopeful that MSD will repeat his heroics in this series and the next England series. Kuldeep Yadav and Yuzvendera Chahal have been sensational for India in the limited overs cricket. They have worked in tandem and picked up the bulk of the wickets for Team India. Kohli will be hoping the magic from India’s best spin duo again. The pacers will relish to bowl in these conditions, as these conditions will suit the fast bowlers more. So Bumrah, Bhuvneshwar, Hardik and Umesh Yadav will be eyeing bowl some good overs that will restrict the Irish batsmen. Rohit Sharma, Shikhar Dhawan, Virat Kohli (C), Suresh Raina, MS Dhoni, Hardik Pandya, Bhuneshwar Kumar, Kuldeep Yadav, Yuzvendra Chahal, Umesh Yadav and Jasprit Bumrah. Ireland is relatively an inexperienced side to play against a top team like India. But still, they have surprised many teams in the past so India should be up to their task. Skipper Gary Wilson, Kevin O Brien, and Willam Porterfield will have to take the responsibility of scoring runs against the Indian fast bowlers and the 2 spinners. Ireland will have to be careful against Bumrah and Bhuvi, they can do some serious damage to this inexperienced batting line up. They will also have to watch full of Yuzvendra Chahal and Kuldeep Yadav, these two wrist spinners operate in the middle overs and they can take the game away from them. For Ireland it will be an uphill task to face such quality bowlers, the key is to not to give any wickets to these 4 Indian bowlers. If they don’t then Ireland will challenge India. However, their bowlers also face some bashing from the likes of Virat Kohli, Rohit Sharma, Shikhar Dhawan, MS Dhoni and the others like Hardik Pandya and Bhuvneshwar Kumar. The challenge for Ireland is to restrict the batting powerhouse to the low score. But that looks highly impossible for hosts. Gary Wilson (captain), Andrew Balbirnie, Peter Chase, George Dockrell, Josh Little, Andrew McBrine, Kevin O’Brien, William Porterfield, Stuart Poynter, Boyd Rankin, James Shannon, Simi Singh, Paul Stirling, Stuart Thompson.